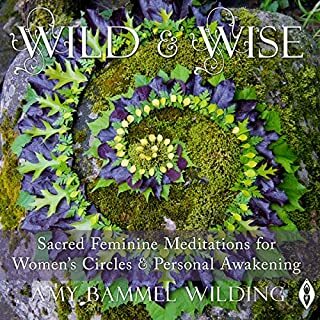 Wild & Wise is not merely a collection of guided meditations, but a potent tool for personal and global transformation. The meditations within beckon you to explore the powerful realm of symbolism and archetypes, inviting you to access your wild and wise inner knowing. 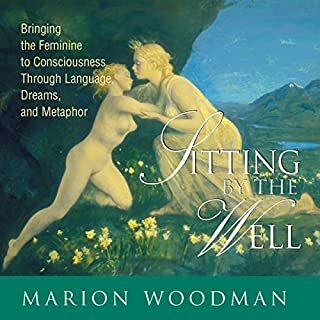 These compelling meditations are suitable for reflective listening, or to facilitate healing and empowerment for women who gather in red tents, moon lodges, women's circles, and ceremonies. A Lakota prophecy tells of a day when Westeners will join Native wisdom-keepers to create a new, integrated vision of healing. Dr. Lewis Mehl-Madrona believes that day has arrived. 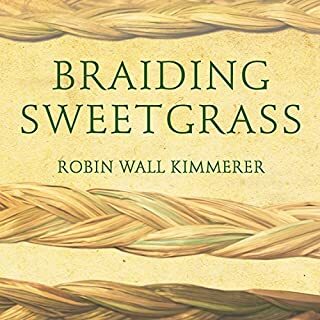 With The Spirit of Healing, this physician and lifelong student of Native American spirituality invites you to discover healing practices informed by both modern medical and psychiatric knowledge, and the "narrative medicine" of tradtional healers. Wow. My worldview is transformed. A 2017 Nautilus Gold Award winner. Feel like you don’t belong? You’re not alone. The world has never been more connected, yet people are lonelier than ever. Whether we feel unworthy, alienated, or anxious about our place in the world, the absence of belonging is the great silent wound of our times. Most people think of belonging as a mythical place, and they spend a lifetime searching for it in vain. But what if belonging isn’t a place at all? What if it’s a skill that has been lost or forgotten? With her signature depth and eloquence, Toko-pa maps a path to belonging from the inside out. Drawing on myth, stories, and dreams, she takes us into the origins of our estrangement, reframing exile as a necessary initiation into authenticity. 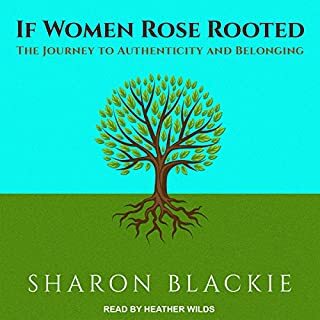 Then she shares the competencies of belonging: a set of ancestral practices to heal our wounds and restore true belonging to our lives and to the world. Toko-pa’s book has become my bible and her self narrated audio version it’s song. I cannot rate it high enough through my own inadequate words. And it’s not just for women. I gifted a copy to my neighbor and her husband READ IT FIRST! Took-pa is tapped into a source you’ll recognize. And her astonishing, beautiful articulation not only lights the way home, but will embolden you to bravely trust that you can find it to too. I couldn’t be more grateful. The content of this book is very relevant to the person seeking self knowledge / improvement. The problem with this audio version is not the message, but the messenger. The author/reader gasps quite loudly at the end of every sentence, and it takes away the attention from what she is saying. 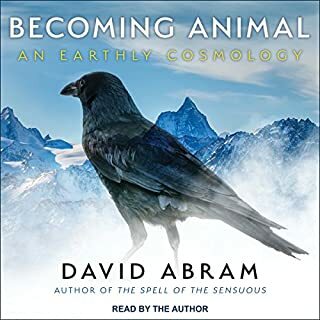 I was wondering if I had turned a bit too purist on the vocal quality, so I paid attention to the other book I was listening to at that point, one of Harry Potter's books read by Stephen Fry. If I pay close attention to the sound I can manage to hear the moment when he inhales after reading a whole paragraph, but it is soft enough to be ignored. Unfortunately in this book that is not the case (for me). I would suggest to you that (GASP) you'd be better reading the text version (GASP) of this very important material (GASP). At least, listen to a sample to gauge what I'm talking about. This may be one of my favorite, most cherished books of all time. Love her so much, feel so blessed to have experienced this book by having Toko-pa read it to me! Can’t recommend more for healing, root reweaving, and so much more magic! A book about needing self EXACTLY what I Need!!!!! Listening to Toko-pa Turner read this manifesto of wisdom, is like being invited into a beautiful living diary of what knowledge she seems a guru. I heard that a single person disliked the Performance, but I think almost everyone will instead love it because it is an introduction to this person, it is like sitting with her by a camp fire and hearing what she knows. Her voice is so full and awake. Now, I have been fascinated with dreams for a long time, and am humbled to learn of her dream work. I love that she says "dreaming is nature naturing through us". That it is a biological necessity, personal gateway, and sensitivity. Frankly, Toko-pa Turner has a language skill that I have rarely ever read, the way she chooses her words and pulls them together in a delicate syntax. Toko-pa Turner is the wise woman who is teaching me the beginning of understanding myself. Her "otherness within" blows my capacities open. Write more, publish more, be well!! Beautifully read and beautifully written. You paint so wonderfully with your language and metaphor and storytelling. Your wisdom and insight are so inline with this time and yet are timeless. I am listening now and will revisit again and again. Congratulations on your award...no surprise there....it is an extraordinary work. The content, the delivery, the dance. Truly a piece of art. Transformative. Thank you Toko-pa.
My heart is overflowing with gratitude for the author and her message. This book is a true work of art for the soul. A gentle and beautiful reminder that I needed. THANK YOU! I really can't say enough about this book. Not only is it full of wonderful gens and knowledge, but you can really tell this is a work of art from someone's heart. It is obvious this book was brought into this world through sweat and tears. It was an absolute blessing to me. It helped me find my way through such a difficult time of my life and has also helped me access my own spirituality in a deeper way. Thank you Toka Pa! A powerful voice of the feminine, nurturing and healing! For some reason there was audio jumping back and forth here and there (especially in the middle book, sadly I didn't take note when... :/), perhaps it could be fixed? Loved this book. Will listen again. Applues to me in such a profound way. I found it clarifying and enriching. This is one of the most beautiful pieces of non-fiction I have ever read/listened to and appeared at the perfect time for me - Toko-pa’s skill as a writer and storyteller is extraordinary and the poetry of her expression reaches far beyond the page and brings her message alive - a message that the whole world urgently needs to hear! Healing to the core, we all belong! This book heals at the essence of soul, it brings us deep into understanding of SELF through our stories, our dreams and the importance of surrendering to our gut instinct. 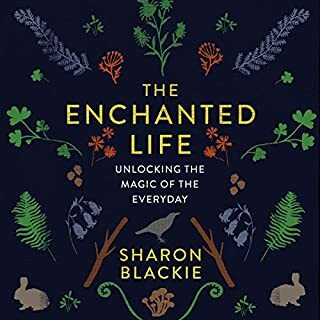 It's impeccably written and we are guided on deep journeys to help us realise the true alchemy and power of healing our inner world and letting go of false belonging and instead embrace ourselves for who we are. A phenomenal listen. Wonderful book but the breathiness of the narration is too distracting for me to enjoy it as an audio book. This book is so beautiful I can't stop listening to it. 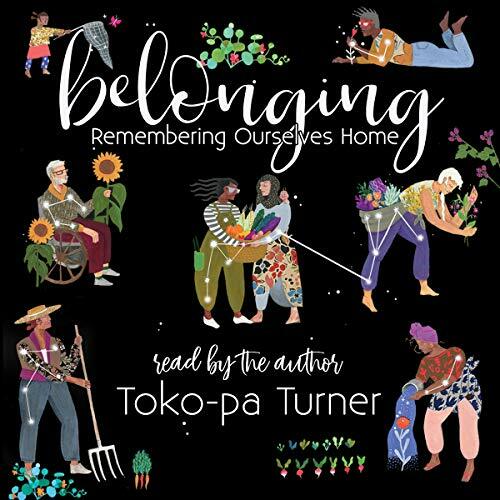 Toko Pa Turner shares the words of this book in such a way that it feels like soothing raindrops of deeply beautiful rememberings dropping into a long time parched heart. I've needed to pause a number of times to breathe in the impact on mine. This book has and continues to change me in magical ways. A gift. a comforting oportunity to embrace the old & new stories that sit in our bones. Toko-Pa's story and explanation of belonging strike a deep resonant chord that has helped me feel more able to belong to all areas of my life. A heartwarming and fulfilling book. Belonging by Toko-pa is by far one of the most beautiful books in my collection of treasures on my bookshelf. I felt like every word, every thought written down by Toko-pa was describing my life, my journey, I resonated with the wisdom that this eloquently written book offered on each & every page. A true masterpiece of our time. Thank you Toko-pa for belonging & for showing us how to feel a sense of belonging too! To have Toko-pa read you her own words was so natural and honest, it felt like I had just spent a couple of days with her. we cooked, sewed and painted together. we laughed and cried and then we said goodbye. I left feeling inspired and loved.